**First Sunday of every month we celebrate our culture and cuisine by hosting a Portuguese/Communal lunch. It starts at 12.30 and ends at 4.00pm. Please call for details or check our Facebook page for announcements . 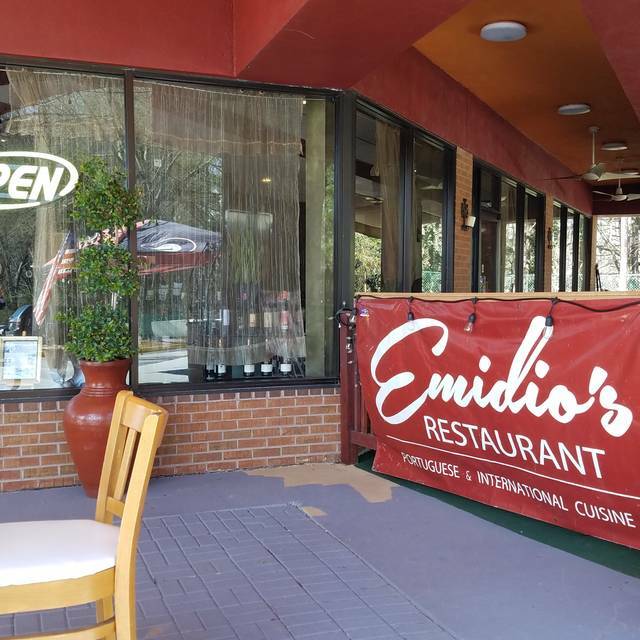 The goal of Emidio's Restaurant is simple: to provide the wonderful people of metro Atlanta with an experience rivaling the most expensive inner city restaurants, but with a price tag comparable to your chain family restaurant. We provide affordable yet delectable drinks from our full bar, freshly prepared tapas and entrees at a price level that will make you double-take, and an atmosphere where you can dine, yet feel relaxed and like family at your own home. Come enjoy a glass of our wonderful sangria with our delicious entrees, or enjoy your night eating slowly from our great tapas menu. We have a warm candlelit atmosphere, perfect for romantic date nights. Make sure to check in regularly on our monthly deals, as well as our special events listing. Follow us on Instagram! *Advisory: Our Caesar Salad dressing contains raw eggs and our beef entrees are cooked to order. Consuming raw or undercooked foods may increase your risk of food born illness. Seafood stew ,tapas ,spaghetti was all wonderful as usual. A jewel of a place! Oh and the bread and butter! Divine! My daughter lives in New York and was home here in Atlanta visiting and my family is from Portugal so we all thought this would be special. Friendly, neighborhood restaurant. Large selection of good, not great, food with very ample portions. A pleasure for the palate! It's become our special place and we always bring guests there for a sensational dining experience. A real treasure with wonderful ambiance. The food was delicious, and well prepared. Interestingly all the main courses came with the same sides (potatoes and red cabbage). The portions are large, and we had quite a bit to take home as well. We'll definitely be back! What a surprise experience. Food and service was awesome. The paella was the best I ever had. My wife loved her pasta. We will be back with friends. This was our second visit and it won’t be our last. First of all, the atmosphere is LOVELY! Gold chargers, beautiful chairs, soft cream drapes. I had tilapia this time, salmon the first time, and both were excellent. Nice sized serving, complete with potatoes, cabbage, broccoli, and a slice of eggplant Parmesan. There was a delicate and flavorful sauce - not overpowering. Price was $18. The service was perfect - efficient, friendly, and unobtrusive. So happy to have Emidio’s in the neighborhood! The food was amazing! I felt like I was in Portugal again! Very quiet restaurant. Fabulous food, attentive service. Two thumbs up. All enjoyed their dishes. Loved the snapper special and steak special with blue cheese. 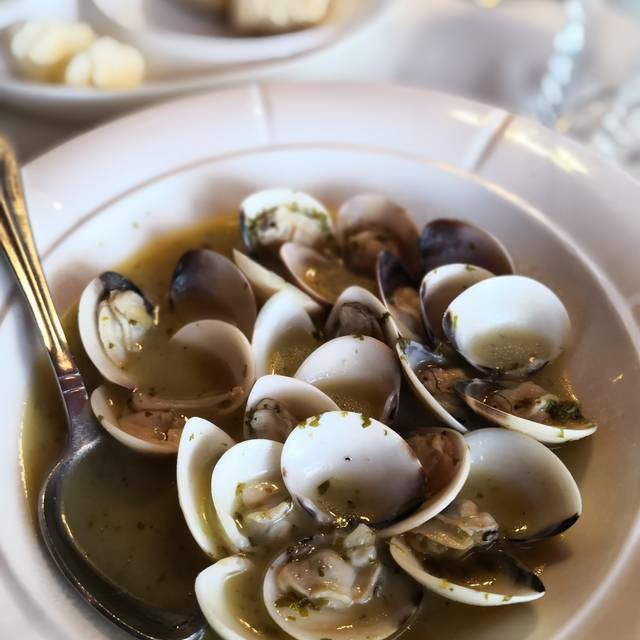 Place is ok for a casual diner who hasn't experienced authentic Portuguese food. I however have growing up in the northeast close to a major hub of that type of food. I can honestly state it doesn't compare. I'll continue to scout the Atlanta area for a good Spanish/Portuguese restaurant. Great family owned restaurant. Excellent food, unique Mediterranean flavors, lots of food on the main entree dishes. Flan is to die for ... We will definitely go back! My experience here was great. We came in about an hour before closing and were greeted with a warm welcome. The service was just as great as the food. All the items were fairly priced and the portions were large enough for two meals. Definitely would recommend and I’m looking forward to returning. Our meal was excellent! A variety of Portuguese, spanish and Italian dishes. Wine prices were great with a good list from Portugal. Don’t let the outside strip center fool you, the inside is quite refined. The start of service was a bit slow, lesson learned they wait for the entire party and you order tapas and entrees at the same time. When everyone arrived, service was amazing and food delicious (shrimp tapas and veal dishes especially ) finishing with one of the best creme brûlée’s I’ve had in a while. We will return! Warmly greeted and seated. Great wine suggestion. The veal was wonderful as was the chicken dish. My clams were a terrific appetizer, but my wife felt her mussels were a little overdone. No dessert that night, but did have a delicious cappuccino. Carmo was very friendly, we will return. We were one of two tables during lunch service. My overpriced previously frozen farm raised shrimp scampi was nothing special. Service was good. AWESOME!! Great atmosphere, service and food!! We had a table of six. It was right at an hour before our food came. Fortunately we had plenty of good conversation to pass the time and when the food did arrive it was wonderful and hot! Worth the wait but keep in mind if you have small ones that might be impatient. Great find! Our experience was wonderful from the moment we entered the restaurant 'til we finished the last bite (second order!) of their homemade dessert! Best paella we've ever had, including on our trips to Barcelona! Attentive, but not intrusive, quality service. Overall, a superb dining experience!! 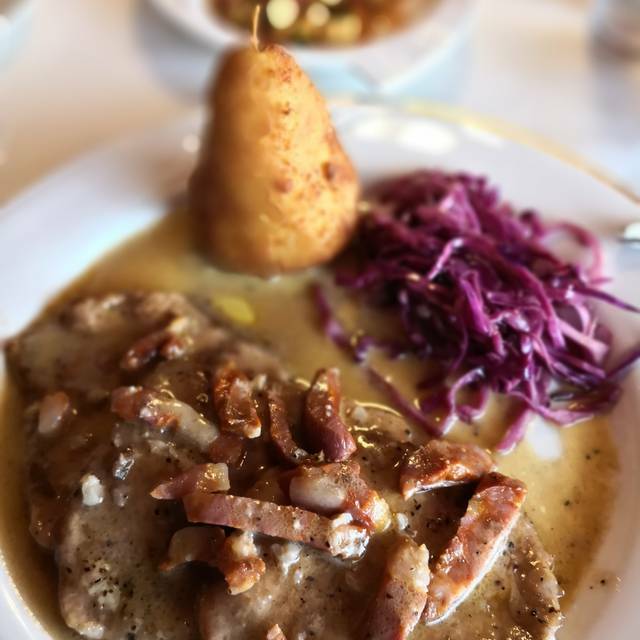 Emidio's is one of our favorite restaurants. A neighborhood gem. Great food and great service. Food was delicious/service was terrible- one waiter for about 14 tables- the waiter could barely breathe he was running around like a nut- the food was delicious but 1 hr and 40 wait for dinner is too long for me and at that point we were so aggravated we barely ate it. A beautiful dining experience with cozy ambiance. Consistently excellent and a pleasure every time we go. Great food but be prepared for extremely slow service! Only people serving on Saturday night were the owner & his son! Wonderful place with wonderful food. Since it was Valentine's day, they were pretty busy but they still took good care of us. We found Emidio's to be a wonderful, comfortable, family owned and operated gem fairly close to where we live. The menu was limited due to it being Valentine's day and we are looking forward to going back to try their regular menu items. Delicious food and marvelous service! We went for a birthday party and they were so attentive and helpful. Everyone LOVED the food. Excellent food, reasonable prices and attentive waitstaff! Definitely will be back soon! Excellent meal with my team. The staff kept up with a table of 14 with great skill. We found Emidios on Google maps and it was close to the place we were staying. Food was fantastic as was the staff. Very reasonably priced and the had WHITE sangria! Thought I'd make a trip to this restaurant after returning from Portugal and reading the restaurant's good reviews. The food was fine--not great but not bad either. 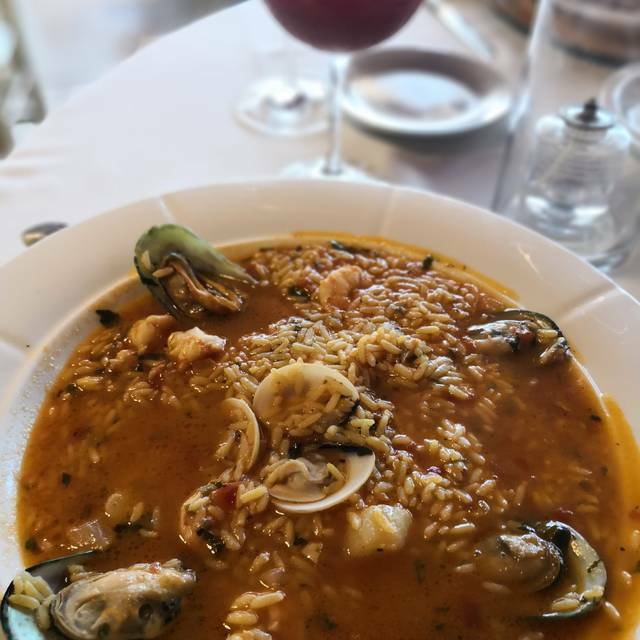 Our waiter knew nothing about Portuguese food and couldn't give informative details about the difference between dishes, nor could he give much wine information. He also was less than attentive, despite a fairly quiet restaurant, as every time I needed him I had to signal someone else to have him attend to us. The prices are modest, but the experience is too. I would not go out of my way to dine here. Excellent service and food! We had 11 folks and everyone was very pleased with the choice in restaurants. Amazing seafood. Great sangria. Very attentive staff. A varied menu, more Mediterranean than just Portugal. Excellent value and well crafted food. Will go back just to explore more of the menu. Family neighborhood gem. Authentic cuisine. Food is delicious. Service was sub par.